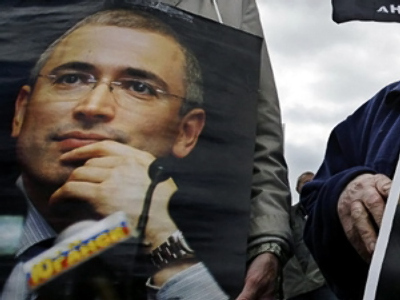 The prosecution has presented new charges against the former co-owners of the Yukos oil company Mikhail Khodorkovsky and Platon Lebedev on Tuesday, while they remain in pre-trial detention centre in Chita, Siberia. A new criminal case has been prepared and sent to the Khamovnichesky Court in Moscow. Trial in the absence of the suspects is not excluded. Now the judge has 14 days to decide whether the court will consider the case. If the court agrees to consider the case, the date of the first hearing should be set. Even if the case is considered in Moscow, the suspects won’t necessarily be transferred to the capital. Yunus Amayev says that the pre-trial detention facility in Chita has corresponding equipment to carry out video conferences with all Moscow courts. So Khodorkovsky and Lebedev may be tried in their absence. In the opinion of the defence, the second criminal case concerning their clients is fabricated. 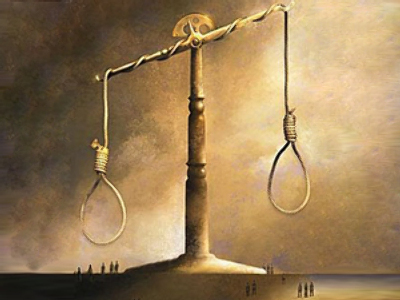 However, they express hope of a fair trial. As the company was registered in Moscow, the lawyers hope their defendants will be tried in Moscow. The defence is completely against using a video conference for the trial. Lebedev’s lawyer Elena Liptser says “it’s a simple infringement of the right of defence” and is illegal. If a ‘video trial’ is approved, the suspects won’t be able to send written motions and will be deprived of confidential contact with their defence. “According to the law, the case should be considered in the region where either the gravest crime has been committed or where the greatest quantity of criminal episodes took place”, Elena Liptser said to Gazeta Daily. However, Liptser doesn’t exclude the possibility the case may be considered outside the capital. Mikhail Khodorkovsky lawyer’s comment was much more rigid. “I have no idea, where the trial will finally take place. Perhaps it will be in Chita or Moscow, or maybe somewhere else – Russian legislation doesn’t apply to my defendant’s case”, Yury Shmidt told Gazeta Daily. He also added that he will recommend Khodorkovsky to disagree to be tried in his absence via video conference. According to the General Prosecutor’s Office, from 1998 to 2003 Khodorkovsky and Lebedev appropriated oil from some of Yukos’s subsidiaries, including Yuganskneftegaz, Samaraneftegaz and Tomskneft, for a total sum of more than 890 billion roubles ($US 24.5 billion). Later they allegedly laundered around 500 billion roubles ($US 13.7 billion) by selling raw materials through subsidiary firms. Figures in US dollars were given according to exchange rates on February 18, 2009. Moreover, the former Yukos co-owners are accused of appropriation and laundering of the Eastern Oil Company’s subsidiaries’ shares for a total sum of around 3.6 billion roubles ($US 99 million) during 1998-2000. 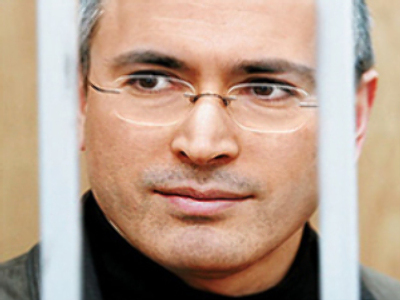 On May 31, 2005 Khodorkovsky and Lebedev were each sentenced to nine years’ imprisonment in a standard regime penal colony. 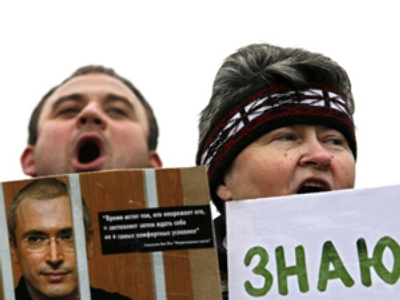 Since then Khodorkovsky and Lebedev have been sentenced for fraud and tax evasion. Mikhail Khodorkovsky and Platon Lebedev on Tuesday, while they remain in pre-trial detention centre in Chita, Siberia. Trial in the absence of the suspects is not excluded. On Tuesday Strasbourg Court’s website published the decision on the complaint of Yukos shareholders against the Russian government. On January 29, the board of judges recognised arguments of the company’s shareholders sufficient enough to start considering this case. Claims from the Russian side that the company does not exist any more and that therefore the case cannot be considered were rejected in Strasbourg. The court found Yukos shareholders’ complaints that the Russian government’s tax claims forced the company to sell its main asset Yuganskneftegaz reasonable. The Russian side has declared that the Strasbourg court is politicising the Yukos case.